In the age of digitization, shoppers are ditching physical stores. 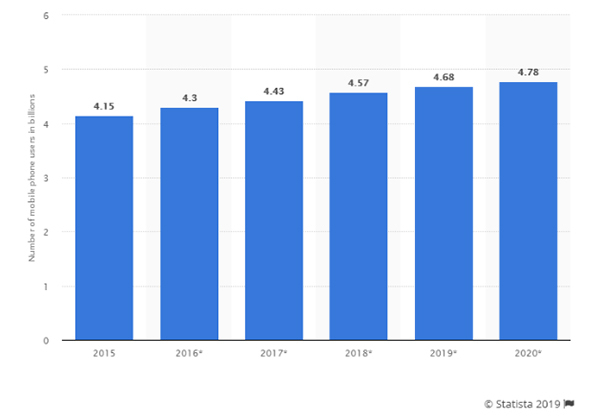 Have you ever wondered why people prefer to purchase from e-commerce websites? According to KPMG research, the number one reason is the convenience to shop at any hour of the day. It was given as the top reason by 58% respondents! Undoubtedly, the advantageous characteristics of online mode have attracted many people to e-commerce websites. This has boosted the online market drastically. This has lured many well-established businesses to spread their wings to the online market. The competitive environment of this industry has not de-motivated newcomers to explore this platform. People are shifting from offline to online shops with immense enthusiasm. 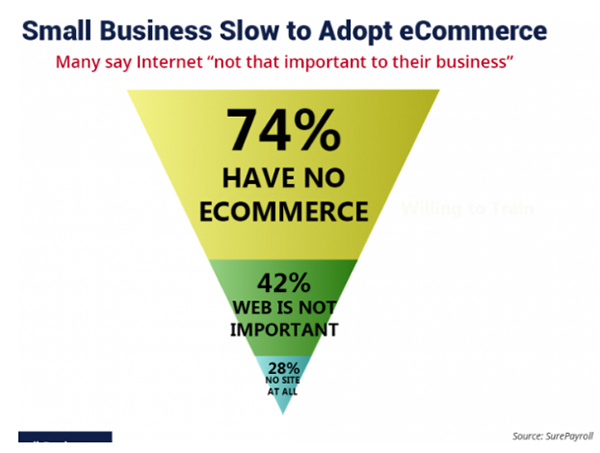 Although, the hard fact to gulp at this moment is the lack of small business presence in the e-commerce industry. Only 26% of the small business website has an e-commerce site according to the SurePayroll’s monthly small business scorecard. If you analyze this fact from the other side of the coin, then you might see a glimpse of an optimistic future for you! If you have a small business then it is an hour of opportunity for you to establish a brand in the industry. Creating an e-commerce site was quite stressful some years back. Today, there are many e-commerce development platforms that allow formulating online stores with great ease. Some of them are budget friendly also. 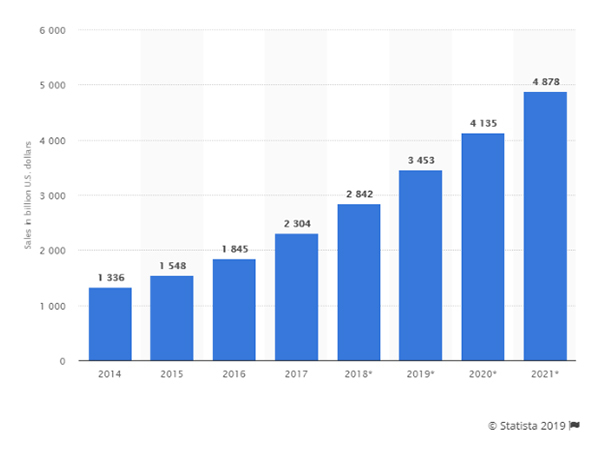 One of the most robust e-commerce platforms is Magento. It is used by hundreds and thousands of people to develop their e-commerce website in a budgeted rate. Its popularity is well-expressed through statistics. According to research by BuiltWith, Magento came on the third position. 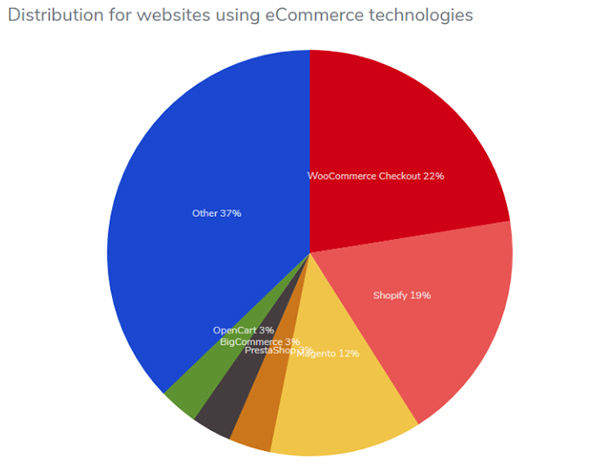 The data of 100k websites were collected to unveil the demand of various e-commerce technologies based on their usage. It is a popular misconception that Magento e-commerce development frameworkis not convenient for people with little technical knowledge and low budget. In fact, the reality is completely different. Unlike most of the other e-commerce development platforms, Magneto is an open-source technology. It allows users to develop a website according to their needs. It offers a free suite to all. This is extremely beneficial if you have budget issues and cost-saving as the ultimate goal. In addition to a friendly content management system, it is providing plugins and extensions to customize your website. There are many businesses which are exploring this platform to spread in size and quality. You can also contact a proficient e-commerce website developer to utilize this platform in its best cost-effective ways. The most important concern of every business is to outshine among its competitors. It is only possible when you have an individual brand identity. Do you have any idea that how it will be created through an e-commerce website? Magento e-commerce framework offers this facility to its users. You can custom your website according to your requirements and goals. There are easy-to-use plug-ins that allow Magento framework developers to change the color of buttons, customize menus etc. There are various other features that enable Magento users to formulate an attractive website. There are many crucial pages on an e-commerce website that have a great impact on customer decisions. For instance, the shopping page plays a chief role in retaining a customer. This platform has amazing features that provide liberty to its users to establish a unique website layout. Do you know a way to increase the functionality of your e-commerce website? The easiest way to do this is by using extensions of the e-commerce development platform. A more convenient way is to utilize the free extensions offered by Magento. 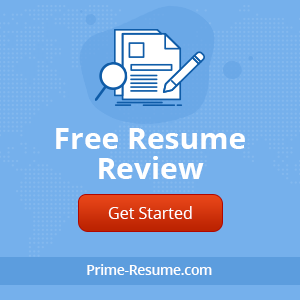 There are various such plug-ins like easy lightbox, PageCache, Sidebar Navigation Menu Professional, Facebook connect and Like, Responsive Custom Menu, Shipment Tracking and Notification etc. These are ready to use and convenient extensions that allow users with low technical knowledge to establish a highly interactive e-commerce website. There are Magento website developerswho are proficient in using these extensions at their best. The constant increase in their numbers is a piece of clear evidence of the popularity of this technology. For any e-commerce platform, it is essential to be supportive of establishing a responsive website. Magneto serves this purpose with great efficiency. There are responsive themes like Argento or Magento Mobile HTML 5. Apart from these, there are extensions like couch commerce and Tenfoot which allow users to construct mobile-friendly websites with Magento. Merely setting up a Magento e-commerce websitedoes not serve the purpose of any business. To gain customers and earn profits, one must work on the marketing of their online store. Online visibility is extremely important for the success of every online store. To enhance your marketing abilities, make sure to use an e-commerce platform which is supportive of this sector. 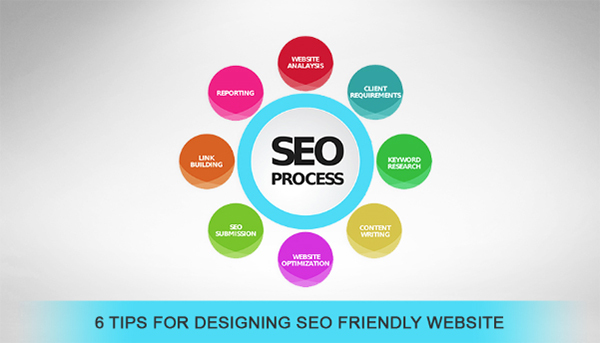 Magento is well-known for its SEO friendly features. It is quite impressive to know that the Magento developershave kept their customers’ needs in mind while establishing this open-source platform. Moreover, it merges your cost of e-commerce development and digital marketing! 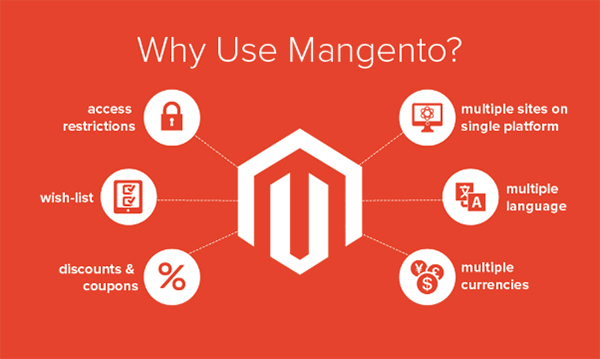 Magento for e-commerce is that open-source platform upon which people with smart cost-effective policies can rely. Undoubtedly, it is an amazing framework to support small businesses with budget constraints. There is no end which is not served by Magento to ensure the success of any e-commerce website. A number of e-commerce Magento developerssupport people in exploring this platform to achieve amazing results at cheapest rates!